V12 Espresso Machine? Why _not_!? 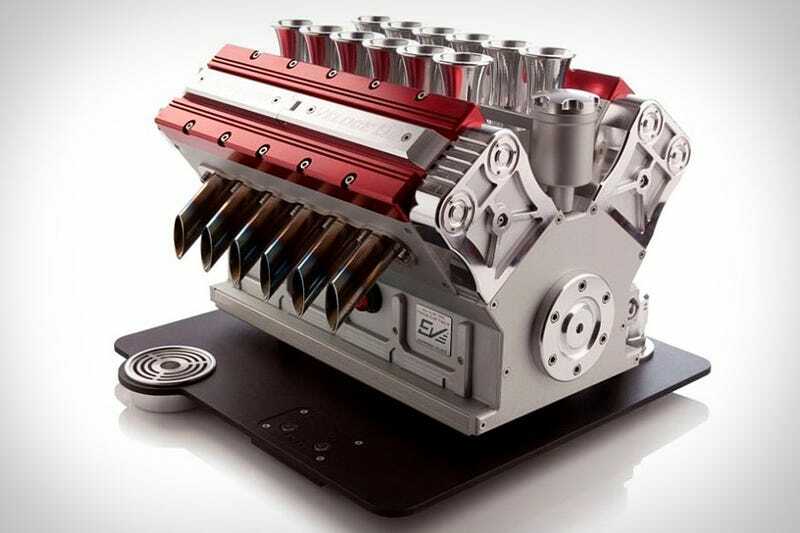 Good news for those who have always felt there should be an espresso amchine shaped like a V12 engine! Rejoice, the Espresso Veloce V12 Machine is just that. LE of 500 pieces and made from fancy materials like Au, Mg & Ti, it also features dispensers which look like well-tempered tailpipes ... so don't worry, it will fit right in with your engine block table.